"Mark is a thoughtful, dedicated expert to work with, and we will certainly work with him in the future. He brings a great combination of knowledge, compassion, attention to detail, and candid advice to the process. I believe this combination leads to success. He follows through on what he promises. We cannot ask for a better broker. Our home sold in five days, and we received an offer that matched our list price. Mark then swiftly guided us through the closing process." "Mark was exceptional to work with. He's very attentive and insightful . His knowledge of the market and business strategy enabled us to get three offers all above asking price. We definitely would work with Mark again to buy or sell another home!" "Five stars for Mark. He was great from beginning to end. Highly recommend him." "Mark is an excellent broker. From the first moment we met I knew he had something special and I was excited to work with him. What sets Mark apart from other realtors is his professionalism and his genuine care for your property. I would recommend Mark to any friends or colleagues who were in the market to sell or buy a home." "Working with Mark is such a pleasure. He helped my husband and I find the PERFECT home for us. Mark is a consummate professional in real estate and knows the market! He was able to sell our current home in no-time with a fabulous return on our investment!!! Mark makes the home buying and selling process exciting and fun, helping you every step of the way. I would highly recommend working with Mark for any of your real estate needs. Mark and his team are the BEST of the BEST!!!" "Mark Keppy is the best real estate agent with whom we’ve worked in Chicago. Professional, reliable, extremely knowledgeable, and plugged into the market. We’ve been homeowners for 30 years, having bought and sold multiple homes. Two years ago, we moved to Chicago from a northern suburb and rented while we looked for a home to buy. After working with four different real estate agents, and feeling underserved, we finally found Mark, who helped organize our search, took appropriate initiative, and guided us through the intricacies of the local market. We couldn’t speak more highly of Mark. As we vacillated between purchase decisions, Mark was patient, supportive, and sincerely committed to helping us find exactly what we needed. Additionally, after purchasing our home, we asked Mark for recommendations on contractors, painters, and designers. He provided us with several names of people he’s used, and those we hired have been extremely skilled and professional. Mark is in a category of excellence among real estate agents. His level of expertise combined with his business skills gave us a sense of confidence that he could handle the transaction and related logistics while we could focus on the move." ""Mark Keppy recently helped us buy our first home; a beautiful condo in Chicago. Turns out we didn’t know what we were doing, so luckily he was there for the whole process. After looking at a couple places we made an offer on this one, which we closed on 5 days ago. Without Mark we would never have gotten this far, we absolutely recommend him. He is highly professional, very talented and organized in showing homes with our time schedules. Mark has great negotiation skills to work with sellers to carve you out financial benefits. MARK KEPPY IS AMAZING! Thank you @properties and Mark Keppy."" "Mark is a natural-born realtor and loves Chicago. He is an incredible ambassador for the city and specifically Rogers Park. I ran into Mark at an open showing for a condo. Mark was gracious and straight-forward about the space. After going through the unit with Mark and seeing how knowledgeable, pragmatic and honest Mark was, I knew I needed to replace my current realtor with Mark to find my new home. Mark is extremely knowledgeable and straight forward; two musts if you want to make the right purchase and a great deal. He has total command of the Chicago market, is responsive and truly cares about his work, and his clients. He is personable, comfortable, genuine and enjoyable to work with and I felt I was working with a friend not a salesman. His response to my questions was lightning fast and never made me feel like I was bothering him. I would be remiss not to mention how impressed I was listening to him talk to the seller’s realtor. Instantly I trusted that he had my best interest in mind. There was an issue with the pricing and market value and Mark’s assistance in resolving the issue, and me ultimately purchasing the unit, were invaluable. Mark has a ton of contacts to help you with lenders, home inspections, renovation, legal affairs and anything else you might need in your home buying journey. Once the purchase was agreed to, his team was extremely efficient and knowledgeable about the closing process. He kept me updated during each step of the process and provided detailed and constant reminders. These days great service is something that cannot be taken for granted, and when you work with Mark, you can rest assured that SERVICE is what you’re going to get. Mark helped me find a home not just a residence. Thank you!" "Mark is the best of the best among realtors. His professionalism, extensive knowledge of the real estate market and can do attitude are unmistakable characteristics that contributed to the smooth and worry free sale of my condo. Most importantly, he cares about your needs and expectations and will not rest until the client is satisfied. I thoroughly enjoyed working with Mark and will most definitely engage his expertise in all future real estate transactions! Great guy!!" "Mark did an awesome job again! Mark recently helped us sell our condo in the city and buy our second home with him in the suburbs. The process was smooth and hassle free and Mark always offers great advice without pressuring you into something you don't want to do. We're looking forward to many more real estate transactions with Mark!" "We had a wonderful experience with Mark. He was very very helpful, professional and we smoothly went from list to close in less than 5 week." "Mark did a good job selling our property. Even though we had few showings when the right buyers showed up he was able to convince them that our house was for them." "As first time home buyers, Mark really walked us through the process and made sure we felt confident each step of the way. We were lucky to have him on our side!" "Mark is awesome! He is such a fantastic REALTOR and a great person. I could always count on him to treat each and every referral with care and compassion. He always goes above and beyond the call of duty to make sure his clients and customers are happy and well taken care of. Mark is a wealth of knowledge and a great communicator. I selfishly wish he would come back to Iowa but I am also very proud of his real estate career in the Chicago area - he deserves every success!" "Mark put us at ease as first time homebuyers. He was extremely patient and responsive with our many questions. He definitely knows what he is doing and surrounds himself with a good team. Anyone he put us in touch with worked out well. Mark made the scary and complicated process of first time home buying much easier. We would definitely recommend Mark to others and would happily work with him in the future." experience. We are so thankful to have met him. We will recommend Mark @properties to anyone who is buying or selling property." "My husband and I have nothing but amazing things to say about Mark! We feel like he went above and beyond in helping us find our first home. Obviously, we were total newbies to the home buying process, so we really appreciated the initial face to face meeting that we had with him. He quickly got a sense of what we were looking for, and he helped us find the perfect place! I'm not kidding when I say everything went so smoothly. His communication is great, and we truly felt like he had our best interest in mind in every regard. We will definitely be recommending Mark to all of our family and friends." "We could not have asked for a better experience. Mark was warm, welcoming to us as first time buyers, and incredibly competent. He was consistently available to us throughout the whole process and advocated for us as buyers. Having Mark with us felt like a security blanket in a process that could easily feel overwhelming." "I have nothing but high praise for Mark Keppy. I needed to act very quickly to sell my condo and Mark delivered. He and his team personally helped me prepare and stage my property - what a life saver! I followed his advice and had two offers within 72 hours of showing it, one of which was accepted. He was great with follow-through and always answered my questions in a timely manner. It was my first time selling a property and Mark made sure it was a great experience for me." "Mark was wonderful and informative throughout our entire process! Being first-time homebuyers, we were a little intimidated in getting everything started, but Mark was incredibly comforting, honest and accommodating as well. We are moving from over 1 hour away, and as a result, setting up showings and walk-throughs to accommodate our schedule/commute was not easy, but Mark made sure that everything went off without a hitch.I recommend Mark to anybody that is looking for a respectful, fun and, most importantly, HONEST realtor! He is wonderful and I wish him nothing but the best moving forward." "Attentive, available, knows the market, knows how to negotiate, adviser and friend. Always has your best interest at heart." "Mark was an incredible realtor who we would recommend to anyone! His level of professionalism, knowledge of the industry, and attentive service are incomparable to others. Mark helped us sell our condo as well as purchase our new home in a streamlined, easy process. We couldn’t have asked for a better experience! Thanks Mark and thanks @Properties!" "When I bought my first home(a condo) four years ago I had a wonderful experience with my agent. When I was ready to start looking again, the main thing I was concerned about was whether I'd be able to find another agent who could make me feel as confident and comfortable as my first. I DID! Working with Mark was amazing! He is warm, he is professional, he is extremely knowledgeable, and he brought together the most amazing team of people to help me with one of the biggest decisions of my life! Mark helped me navigate the sale of my former home, a process that would have been overwhelming for me without his support and attention to detail. We had an offer for that place within two days of putting it on the market! When it came to my purchase, I felt like Mark really cared about my vision for my new home. In fact, he was so in tune with the "feel" of what I wanted (as opposed to just the material description I gave him) that he suggested that I see a place I would not have looked at on my own. He never pushed, and he sent me plenty of listings that fit my criteria, but he just suggested that I take a look at this one place--he had a feeling I might like it... I fell in love with it almost immediately! And now I live in it! I can't thank this man enough! It was an amazing experience to work with him!" "He is helpful more than you expect. Thanks"
"Mark started working with us halfway through our listing and he hit the ground running. We completely understood that it was not easy to jump into a house sale after it had already been on the market for a long time, but he did not give up. He gave us pointers on how to improve our home (which in turn would improve the probability of our sale) and we listened. We took our house off the market, fixed a few things, relisted it and it sold! We are so happy with the process of our sale and are excited to use Mark for our future home!" "We cannot say enough good things about Mark; he was wonderful from the moment we met until we excitedly received the keys to our new home. Mark is an experienced, knowledgable and honest professional who will effortlessly guide you through the offer and negotiations processes and everything that comes afterward. His communicative style and the work he puts in behind the scenes ensures that everything goes off without a hitch. To top it all off, he's just a great, caring guy. Thank you for a wonderful first-time home buying experience, Mark!" "Mark helped us sell our condo, which ended up being a very difficult process due to building repairs taking place while we were under contract for closing. Mark was highly professional and extremely helpful throughout the entire process of listing and selling our unit. He was always ready to handle any situation that came up and was extremely responsive." "I could not have asked for a better experience while purchasing my first home. Mark Keppy is absolutely phenomenal. He is professional, efficient, extremely knowledgeable, and always willing to go above and beyond. He made what could have been an extremely daunting and stressful process into something so pleasant and exciting. I would highly recommend him to anyone who is looking to buy a home." "Mark not only knows his stuff, but he has a vision. He can help you picture yourself in a home. He would point out things we’d never think of! I could not imagine how we would have gotten through this life changing event without him. Plus, he’s pleasant to spend time with!" "Mark was phenomenal to work with throughout the entire process of selling our condo. Prior to making the official decision to list our property, Mark provided amazing insight into the neighborhood, current market outlook, and marketing options for the property. He quickly became a valuable resource for all things real estate. Another reason we decided to move forward with Mark and his team was because of his years of experience and success. Mark is a great find, and we would use him again in a heartbeat!" "I wish that we could give Mark many more stars. After working with a sub-par broker, Mark stepped in and honestly made our dreams come true in finding our forever home. His level of expertise surpassed all of our expectations and his commitment to us as clients went way above and beyond that of a "broker". Mark took a personal interest in what we wanted in our home and knocked it out of the park." "Mark was wonderful! He was so patient with us being first time sellers. He has his finger on the pulse of property pricing and marketing. He advertised our property at the right price and it is sold! Thank you, Mark Keppy!" "Mark Keppy was phenomenal! We really enjoyed the time we spent with him. He maximized our time and booked as many appointments as possible. He patiently held our hand through the entire process and always had the right answer. His experience in the field always put us at ease. We already referred him to our best friends. I will admit that the only bad thing about having Keppy find you a home is that you will miss him once it’s all done. 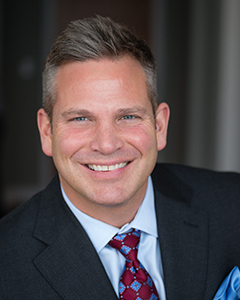 "Mark is extremely knowledgeable about the Rogers Park area and the real estate business. He is also very patient and friendly and is willing to visit many places until you find a good fit. He helped us find the house we wanted. I highly recommend him to anyone looking for a place in this part of town." "Mark is a total professional and goes beyond merely having expertise. He truly respected and listened to my needs. He was the perfect realtor." "Mark sets a high standard of professionalism, work ethic and experience. He is responsive and caring. We valued his guidance in negotiating through every step of the process in both our sale and subsequent purchase. His personal style and humor complement his considerable broker skills." "How can I explain how much I love Mark? From the moment he walked into the home I needed to sell, he was understanding, helpful, reliable, a resource for the things I needed to put in order before listing, always timely, and above all reassuring. He works with honesty, not just to placate. He told me what to expect and when it would happen. Mark was exactly the guy I needed. Looking to buy or sell? Just hire him. Do it." "I represented an estate selling a property in the Rogers Park neighborhood. Mark was able to obtain multiple offers on the property in less than a week of being on the market, and we were able to sell at our goal price. The process went very smoothly, and Mark even went out of his way to check on the property and water pipes during a week of extremely cold temperatures. I highly suggest hiring Mark if you are looking to purchase or sell in the Chicago area!" "Mark was fantastic in every stage of this purchase. 1. He first got to know what I wanted then pinpointed homes that he knew were right for me. 3. He had great insight about what to offer and counter offer, predicting each response from the seller perfectly. 4. He had terrific follow up after the sale, sharing his connections for some updating that I plan to do." "Mark was fantastic and extremely helpful in guiding us through the homebuying process as first time buyers. We will definitely be recommending him to our friends in the Chicago area." "Mark Keppy has been exceptional to work with. He was knowledgeable and skilled in every aspect of the process from showing us homes, to negotiating, to talking us through all of our concerns. We feel we gained more than just a reliable realtor that we would work with again and again, we feel we also gained a friend. We would highly recommend Mark!" "Mark was extremely knowledgeable and professional from the moment he walked through the door. He knew exactly what we needed to do in order to sell our place quickly and for the price we wanted. We received an offer immediately after listing it and he guided us through the negotiations with ease. He made what could have been an extremely stressful process completely easy, fast, and stress-free. I cannot recommend him highly enough to anyone who is trying to buy or sell a home. Mark Keppy is phenomenal at what he does and he makes it fun while doing it." "I had a hard time selling my property with another agent. Mark made some suggestions and finally sold my house. He was patient and nice. He was very helpful in so many ways. He is the BEST." "Mark Keppy is the best! He is knowledgeable, patient, responsive and professional. Not to mention he made the process lots of fun! Thank you for all your help, Mark! I highly recommend him." "Mark Keppy recently helped us buy our first home; a beautiful condo in Chicago. Turns out we didn't know what we were doing, so luckily he was there for the whole process. After looking at a couple places we made an offer on this one, which we closed on 5 days ago.Without Mark we would never have gotten this far, we absolutely recommend him. He is highly professional, very talented and organized in showing homes with our time schedules. Mark has great negotiation skills to work with sellers to carve you out financial benefits. MARK KEPPY IS AMAZING! Thank you @properties and Mark Keppy." "Mark is very professional, well networked in the community, proactive in all steps of the selling process and gets the job done well! He genuinely cares about his clients and their level of satisfaction with their experience. We were grateful to have him represent and sell our home! Thank you, Mark!" "From start to finish Mark Keppy is a rock star! His solid direction market knowledge and advise regarding pricing, listing, and staging created the perfect storm causing my condo to have a quality offer in less than 48 hours after the first showing. The selling process can be nerve wracking but Mark's steady calm demeanor and depth of experience saw me all the way through to closing. I tell everybody about Mark and his @Property team." "I had been working with another realtor off and on for a few years looking for the perfect second home here in Chicago. We toured hundreds of condos but I was never satisfied with both the locations and the actual spaces. When I was discussing this with a friend she told me that I had to call Mark Keppy! I thought, well I have nothing to lose. We met the next day and immediately I knew he was the right person. He said he knew of a penthouse that was coming on the market in just the neighborhood I wanted. I was concerned because it was on a main street so after driving by I said no thanks. But he wouldn't let me say no. He kept saying, this is your place! I had to go back to Los Angeles so the day it came on the market I sent my friend over to see it with Mark. I get the call....this is it! We made the offer, sight unseen and we are now moved in to the most beautiful apartment in Andersonville! Being from out of town I had no contacts for an attorney, mortgage broker, inspector, etc. so Mark introduced me to all his people who made the entire process seamless. I was never stressed about the purchase, Mark was always available to answer any questions or concerns. He is a true professional and plus really fun to work with. I guess my only complaint is that we didn't get to go run around town and look at lots of condos. He was able to find me the perfect place on the first try!" "Our experience with Mark was outstanding! From start to finish, my husband and I received exceptional customer service. This was our first time buying a home, and Mark's expertise and advice was invaluable. He was very patient and helpful and maintained great communication throughout the entire process. I would highly recommend Mark and his team to family and friends! Couldn't do it without you Keppy :)"
"He was great!!! Knowledgeable, attentive, and fun. The sale went very smoothly due to Mark's professsionalism." "Mark was very helpful with ll the logistics involved especially that we were from out of town. Helped us a lot with all the preparation involved with getting our property ready for the market.Thank you very much Mark"
"Mark is incredibly knowable about the Chicago market, He is an experienced realtor, and makes the process as easy as possible. He is always honest, pleasant, kind and extremely helpful. He is willing to exceed expectations to support you through the process of buying or selling your home. Thanks Mark!" "After 8 months of sheer frustration and only 9 showings with an utterly incompetent broker, Mark was my savior. Mark Keppy is AWESOME! His associate Alexia Kouklowsky is FABULOUS. Mark came to our first meeting with all the research on my condo and the market in my neighborhood already done. I interviewed other agents, but no one offered the services and experience that Mark has. The staging and photos of my condo were priceless! He put my condo back on the market on a Thursday, we got an offer for FULL price on Friday! That's right, sold it in ONE DAY! His professionalism and experience is amazing. Mark and Alexia were an absolute pleasure to work with." "Mark was a pleasure to work with and I would refer him to anyone. He was professional, organized and most important importantly, he was a great teacher. He patiently walked me through the entire process and referred me to the best team. Everything went smoothly and he was so much fun to work with!" "I have worked with Mark Keppy multiple times and the process has always been exceptional. From start to finish Mark always handles everything professionally and with great attention to detail. I have referred many people to Mark over the years and they always thank me because of the superior experience they have had. Once again Mark helped me to sell my property quickly a great price and went above and beyond to make the process stress free and enjoyable. Mark, thank you so much and I look forward to working with you again in the future." "Love working with Mark! He is professional, helpful and positive. Gave good advice when asked, had great wonderful contacts and stayed engage and available throughout the process." "I enjoyed working with Mark. He made me feel comfortable and confident that he would find the right buyers for my property, and he did! I would definitely recommend him and would use @properties again to buy or sell property again." "He was very professional and courteous. Mark is willing to talk to you whenever you want. Communication was a breeze." "Mark is easily the best broker I've worked with. He managed and explained every aspect of the sale of my home including how to maximize overall value. After taking Mark's advice to do some minor upgrades and have the home staged, my property received 4 offers on the first day of showing...one well over asking price! Even after the official sale of the property, Mark stayed appropriately involved through the closing process and provided timely, helpful updates. I will be recommending every family member and friend I have in the Chicago area to work with Mark and I would jump at the opportunity to work with him again!" "I am a first time home buyer and must say that Mark made this an amazing experience for me. He truly went above and beyond to help me with my needs and wants as well as kept me informed throughout the whole process. I honestly felt as tho I was working along side a friend. There are no words that can describe how wonderful of a man Mark truly is, Thank you does no justice." "Mark is a consummate professional and was always accessible. He assisted us through several rough spots and I can honestly say that if it wasn't for him we would not have purchased our condo.I highly recommend him!" "Mark Keppy is a great realtor who really knows the market and priced my Evanston condo for a quick sale. I had a signed contract only four days after listing. He handled a lot of the negotiations with the buyer's agent and we flew through inspection and attorney approval in no time. I eould certainly recommend Mark at @Properties to anyone looking to sell or buy real estate." "We were very fortunate to have met the most professional, efficient, knowledgeable, and pleasant real estate broker ever! We can truly state that this entire purchase process of our condo was enjoyable only because we had the best communicator and friendliest broker we have ever encountered. Mark Keppy appears to have limitless amounts of energy, and he was always willing to answer any questions,very readily addressed and followed up on any concerns that we communicated to him. Many thanks, Mark, and congratulations on a job well done! You are the best!" "Mark has been incredibly patient, professional, helpful, and fun throughout our long and exhaustive search for a home. We were searching for a fixer upper and Mark's unmatched knowledge of homes in the area, and personal experience with a similar fixer upper has been invaluable. We have already, and will continue to highly recommend him to anyone looking to buy or sell a home." "I couldn't have been happier with the entire selling process of my condo! Since this was my first time as a seller, I wasn't sure exactly what to expect but Mark walked me through every step of the process making sure I understood and felt comfortable. Working with Mark, it's very apparent how much he loves and is passionate about his job and that his clients wants and needs are his top priority! You couldn't ask for more in your agent and I would recommend him to anyone! Thanks Mark!!" "Complete Professional that always hustles to ensure the highest quality of service"
"Mark was such a huge help in my buying experience. He made buying my first home a pleasure instead of stressful event. I hope to work with him for many years to come." "As a first time homebuyers, my fiancÃ© and I were nervous about the process, but Mark took the time to explain the everything to us from beginning to end. Mark was an invaluable resource from the time we submitted our offer, to the home inspection, and all the way through closing. He was very attentive and always accessible. Overall, our experience was amazing and he's eve given us help after the sale with references to movers and contractors. We would highly recommend!" "Smart/knowledgeable...intuitive...conscientious/responsible/detailed...market savvy...honest & candid...deal maker! Highly recommended, if you don't (or do) have a friend in the real estate business,...he should be your "go to" broker. Thanks Mark!P.S. He represented the other side of my transaction, but got the deal done." "Mark was extremely knowledgeable, and his experience and insights were incredibly helpful to me as a seller. His balanced perspective of the real estate market and the specific nuances of Chicago neighborhoods helped inform our collaborative decision on when to hit the market and what price. I could not have been more satisfied with the experience of working with a true professional - who is also an advocate for me, and, has an upbeat and sparkly personality to boot. Always willing to go the extra mile with even the smallest details. Once you hire him, you'll see what I mean. I recommend Mark Keppy 100%." "Mark is absolutely wonderful. My wife and I are first time home buyers and Mark took what could easily be a stressful and complex endeavor and made it easy and simple to digest. He walked us through the process with patience, understanding, and a motivation to get us into a home that we would love...and thanks to Mark, we have! My wife and I recommend Mark Keppy to anyone looking for a great broker!" "Mark was an excellent, truly above the bar, realtor that has evolved into a wonderful contact and friend. We never worried if he had our best interest in mind - extraordinary trustworthy, he operates with a high level of integrity and made us feel like family along the way. He was very accessible and helped us manage the many hands involved with the buying process. As first time home buyers in Illinois, he helped us navigate our entire journey from seeking out property that met our needs to close like seasoned consumers in this space. Mark will always have a place at our dinner table!" "I had gone to an open house, on the spur of the moment, and by sheer luck Mark was the realtor. It wasn't until a year later that luck again brought us together. I had clearly remembered Mark as being a kind professional that was NOT pushy!!!! It turned out that the open house that he had a year ago was the property that I purchased!!!! I think the stars must have been lined up!!! Mark made the entire proces totally stress -free and was always willing to help out any way he could!!! This is my 10th move and by far he has been the BEST realtor have ever dealt with." "Mark was and is absolutely phenomenal. I was a first time homebuyer and couldn't have asked for a better agent to work with. Mark mixed extreme professionalism with an outgoing, engaging personality. He explained every step of the process that was ahead of us, answered all of my endless questions regardless of when I contacted him, and pointed out things to pay careful attention to that I would have otherwise not thought of. He truly went out of his way to make us feel comfortable through the entire process and was my constant sounding board of reason. He somehow managed to keep me perfectly engaged while never pressuring us in the slightest. Mark gave outstanding recommendations for mortgage lender (Heather McRae was also a delight to work with), attorney, inspectors, insurance agents, etc. I would always check his recommendations with other options, but found that every time he made a recommendation, no matter how many other people I contacted, I could not find a better fit to work with. The whole process was incredibly easy and very much appreciated.Mark got us into every property we wanted to see, often on a last minute notice from us, and never seemed put out by it. Instead he was always there waiting to meet us with a genuine smile on his face that truly made us feel like we were his oldest friends and most valued clients.This may seem like an overly glowing review, but in Mark's case it is impossible to say enough good things about him. We feel very fortunate to have gotten the chance to work with him and his "team"." "went way above and beyond my expectations of a realtor ! Can't say enough about the work Mark Keppy put in to make everything work!!" "I am extremely pleased by the professionalism, cordiality, and honesty displayed by Mark. He guided the sale of my late uncle's condominium efficiently and smoothly. I greatly appreciate his effort.Ron Kipnis, DVM." "Mark is a wonderful broker. He is high energy, low stress, very patient and easy to work with. He makes himself available 7 days a week and often late into the evening. He has been very helpful with questions, problems and resources. Mark is very knowledgable about many of the buildings in the city, often knowing their physical and financial condition. He offers an honest opinion about each property, focusing on the best fit for the buyer. His goal is to make the buyer happy by finding the perfect fit." "Thank you Mark!! You had my vision in mind the entire time and helped me find the perfect place. You made the home search fun and explained everything along the way. I'd definitely work with you again when the opportunity arises and have already referred you to a friend." "Mark was an exceptional buyers' agent. He was with us every step of the way and provided ideas for our new home; what to look during each stage of the purchase process, and had the energy to attend to all of our needs. He is well connected, fully understands the real estate market in Chicago and our neighborhood and is a resident himself. We respected and valued his input as he with us. We highly recommend Mark as a buyer's agent as well as an agent of Chicago's diverse neighborhood. We could not have made a smooth purchase without Mark's guidance and expertise." "Mark was amazing. My wife and I decided to move from Chicago to the far south burbs to be closer to family and wanted to get the process done quickly. Mark helped us with assessing what needed to be done to our house to get it ready for market and gave us ideas to help get it moved as quickly as possible. He did the research and made sure that we would be getting maximum value out of our house as well. Not only was it an extremely smooth process but our home sold in three days.Mark's level of attention and care to our needs and questions was above and beyond anything I would have expected. We will recommend Mark to anyone that we know that is interested in selling or buying in Chicago.Keep up the amazing work Mark!!" "My husband and I can not speak highly enough about our experience with Mark Keppy! Not only did he meet our high expectations but he continues to exceed them long after we have closed on our property. No only will we be sure to refer Mark to all of our friends, but we feel we have also made a life long friend through this process. We were being relocated from Nebraska to Chicago. While it was truly an exciting time it was also a very stressful time. Through a family referral we were put in touch with Mark. From our first conversation with him we knew he was going to be the best realtor for us. He hit all the marks that we were looking for: professional, knowledgable, funny, caring, sensitive and understanding of the stress of relocating. The week that we had scheduled to come look at places, Mark was going to be out of the country for the first couple of days. He put us in the trusted hands of one of his team members, John. John was excellent from start to finish! John talked to us before and after about each property, gave us the space we needed to walk through and look while also asking important questions to the selling agent. He was fun (he ALWAYS had the most fun socks on each day - no one has a better sock collection! ), professional, prepared, and communicated well with us. Everyday he made sure to check in with Mark to give him a daily update, while always including us on any emails that he sent recapping our day. Mark made sure to respond, give feedback, and let us know he was only a phone call or email away. John had set the bar so high for the couple of days that we were with him, that we almost were worried if Mark would be able to meet it. :)The first day we were to meet Mark in person, was the day of the Chicago Blizzard of 2015. (Quick recap19 of snow in 24 hours, 5th largest blizzard in Chicago) My husband and I really wanted to still look at houses but we were certain no way would anyone would want to drive around in this mess. Well, we were very wrong in that thought process. Not only did Mark say, Heck no, this blizzard is not stopping us! he also drove to pick us up at our hotel to make it easier for us. We certainly would have understood if he would have needed to cancel, but quickly realized how much Mark cared about us and how dedicated he was to finding us the perfect new home. He had instantly met the bar that John had set, and raised it! That day we set out and looked at lots of new listings and did some second showings. Mark made sure throughout the day to touch base with the selling agents to let them know were still coming and push back times if we were running behind. He had the right mix of providing us info on each listing, allowing us space to walk through each property, pointing out things that we may not have noticed, as well as asking each selling agent tough questions. By the end of the very adventurous and fun day, we were pretty certain that we had 3 front runners. We talked with Mark about them, made a list of questions we had about each property, and then decided we would all touch base the next morning. Well Mark exceeded our expectations again and managed to get answers to all of our questions very quickly. In the meantime, my husband and I had time to sit and talk together about each property, put the 3 in order of how we liked them, and kinda make a game plan. Mark made some suggestions of how we should approach things and what he thought each property was worth. The next morning, the plan was to put an offer in on our top property. At the recommendation of Mark, he suggested that we ask for a quick turn around on a response to ensure that we still had a chance at the others, if this one was not going to work. We liked that a game plan was in place and he shared his thought process with us. We felt very well taken care of and that Mark was making sure we got something that we loved. After the offer was written, the plan was for Mark and I to explore a neighborhood of one of the other contending properties. We loved the condo but the neighborhood was what was holding us back. I loved that even after an offer was written, Mark did not just stop helping us to find the perfect place. He knew I was uncertain about the neighborhood of the other property and wanted to make sure that I had the chance to explore. I appreciated that he took the time to pick me up and show me around. Walk around, explore the neighborhood, and grab some lunch was the plan. While having lunch, he got a call from the selling agent of the property we had out an offer in on; no need to explore the neighborhood anymore, our offer had been accepted! He quickly switched hats and suggested that we head over to the new neighborhood to explore and look at the condo again. Both Mark and John early on, had talked to my husband and I about some of the differences that Chicago real estate transactions may present. This was not our first home we had bought but our first in the state of Illinois, so the heads up was really appreciated. Mark really helped guide us through these difference and the transaction process weather it was the attorney reviews, lending questions, inspections, HOA, etc. Since we were out of state most of the time taking care of this transaction, Mark worked really hard for us to make sure things got done the right way and in a timely fashion. What I appreciated the most through this whole process was Mark understanding all the emotions that goes into buying a new home. He was always willing to talk about concerns and frustrations, fight to find answers, checking in while things may be stagnant, celebrate the highs, pick you up from the lows, etcwhile always making sure you knew that he was on your side at all times.But what truly has been the most impressive and most touching is, long after we have closed on our condo and have moved in, he continues to still care about us and help us. He has provided us with wonderful referrals for our home projects, made sure that people have followed through, and checks in to just say hello. As I mentioned in the very beginning, while Mark has helped us find a home in our new city, he has also managed to become our first new friend in the city and way more than just a realtor." "Working with Mark Keppy was both educational and rewarding.The pre-listing tips Mark provided as I prepared the home for selling were very practical and easy to accomplish.I was in Shanghai,China while the house was being shown and during the initial negotiations on the property sale, Mark made the long distance process seemless.Mark also went the extra mile in dealing with the appraisal process to help us achieve a maximum value on the sale & closing.I will be calling on Mark again as I prepare to buy and I look forward to another experience knowing that Mark will deal honestly and in my best interests. I'm very pleased to have done business with Mark and his associates." "Mark Keppy is by far the best Real Estate Agent I have ever dealt with. As an investor in real estate I have dealt with many agents in the past. His knowledge and research of a particular market is exceptional. He is also extremely ethical, unlike some I have dealt with. I have referred him to many and will continue to do so." "Mark led the sale of our condominium from the moment we met him through closing. He made certain that our condominium was staged and ready to attract buyers without spending money on unnecessary improvements. He was very knowledgeable and helped us get to market at the perfect time with a spot on asking price. Mark is a very reasonable person that drives deals through hard work with no drama." "Mark is a knowledgeable, patient, and detail oriented broker. I would recommend him to anyone. It was a pleasure working with him." "My husband and I recently purchased our second property- a single family home. With the Chicago housing market, we were downtrodden that we would not be able to sell our condo and afford a single family home for us and our young daughters. We met Mark Keppy inadvertently when we scheduled an appointment with him to see an "if only" property. We not only loved the house but Mark was the most genuine and personable realtor we had ever met. Mark made a miracle happen for our family- not only did he walk us through the selling process but he already had a potential buyer for our condo before we even listed! Our home closed within 30 days; a whirlwind of the best kind! Mark helped us find a home that was within our budget and guided through finding the perfect lawyer, inspectors and references for moving & rehab work that made the process feel completely safe and supported. Mark called us often to see how we were feeling and to keep us informed about what was happening every step of the way. Mark even held my infant as we did our inspection! Mark cared so much about what we were looking for and together we made a dream come true. I cannot recommend Mark enough. I cannot imagine that this could have happened without him. He is now a trusted friend and member of our "team". We love where we live! And we love Mark! He is the best- for many reasons: he works hard, he loves his job and he is an authentically awesome human being! Thank you!! From one happy family: Lisa, Matt, Piper and Olive"
"Mark was everything his reference said he would be: knowledgeable, professional, engaged and someone who could get the job done quickly. From the moment we were introduced he was available, personable and made us feel like we were his only clients. Mark was thoughtful in his guidance around how we should price our home and after three days on the market we had a mini bidding war! Couldn't be more satisfied with his performance!" "Mark is great! I appreciated that he was proactive an reached out to me, anticipating my needs instead of just responding when I contacted him." "We are so pleased with the entire process of our sale. Mark Keppy and the team he put together were amazing. Not only did they walk a timid couple through this big life process, but they did so with kindness, class and a little fun as well! The team of stagers & lawyers Mark recommended were amazing. It's clear everyone in the industry respects Mark. He is so wonderful to work with and I would recommend him to everyone. We couldn't be happier!" "Very helpfull and patient. Provided all the assistance ask for and more. Being out of state we had very little hands on but Mark provided it when needed. It was a great way for my brother to sell his house and move South. Thanks Mark." "I came into this process very nervous due to past experience and coming from the suburbs. I had worked with 2 other Brokers prior to @property and found them to be not available, not able to give me any information outside of what was specifically listed about the property or any information about the city. When I decided to interview more Brokers to find a better fit - Mark came in with everything I was hoping to find in a Broker. Actually he came in with more than I imagined. Immediately he told me what he would do, how he would do it, what he needs from me and how we can make this happen so I would not be nervous but rather have a great time looking. He was always engaged with me, always looking for property, always quick to answer my questions and always checking on my comfort level. He was incredible. What took 5 months of not getting any help from the past Brokers - Mark accomplished in 1 month. We came up with a game plan based on what we were seeing and it worked like a charm. We found the most perfect place for me and I couldn't be happier. Mark - had a strategy for everything and it diminished my fear completely. I can't say enough good things about him or the process of buying. Mark - knows his job, understands people, is experienced and will help you find the perfect home." "Mark Keppy is everything you want in an Agent, but probably didn't know you needed. Of course, he is extremely knowledgeable about the entire real estate process. He is on top of things and knows how to not only hear what you are saying but listen to what your needs truly are. Mark earns your trust by delivering time and time again. In our case, he didn't bombard us with every listing that came out. He waited until one really fit our needs. And, no surprise, it's the house we purchased. Mark was there when we needed his advice and gave us plenty of time and space to reach our own conclusions. He really possesses the ideal combination of patience and encouragement.Never once did we feel pressured. We always felt Mark had our best interest at heart. And from beginning to the exchange of the keys, we know we were treated with the utmost respect. We cannot recommend Mark any higher." "Following Mark's recommendation to 'declutter' the condo the first couple that looked at the property made an offer and eventually bought the condo." "Thanks to Mark, we now own the house of our dreams! We had mentioned to him - in passing - that we loved a house that had recently gone under contract. When that deal fell through and the house came back on the market, Mark caught it within hours and got us in to see it the very next day!" "Mark provided great service - always called when he said he would call and even after the sale was completed, he checked in to see how the new place was treating us. I definitely felt no pressure to go under contract and felt supported during our search process. I would recommend Mark to my friends and family." "Mark has now helped us with the sale of two of our properties and has always been very professional and actively involved in making our experience of selling a joy. We would highly recommend him for anyone buying or selling. We will definitely use Mark for future property transactions. Thank you Mark for all of your hard work, as always it has been a pleasure working with you." "Mark is wonderful and knowledgable. Excellent understanding of the market and has the supporting documentation. Open minded and considers your opinion. Works very long hours and always responds quickly. He has done the rental of 3 condos for us. He has found excellent renters that pay timely and leave the condo in good condition. We would highly recommend Mark!" "Mark was such a pleasure to work with during the past few months. As a first time home buyers, we had many questions and uncertainties about the entire home purchasing process. Mark was very knowledgable and helped to answer our questions promptly. His professionalism and genuine personality was ever-present. His recommendations for other members of our purchasing team (lender, attorney), proved to be a success as well." "We met Mark at an open house he was covering for another colleague. While the property was not the right fit for us, we recognized quickly that Mark was a good fit for us as an agent to work with on our property search. Mark provided a comfortable balance of suggestions and guidance while tuning in to our particular interests and desires. I look forward to recommending Mark to friends and colleagues as a top notch agent to help with purchase, sales or rental opportunities." "Working with Mark on the sale of our home was a wonderful experience. He did such a great job from start to finish. Having worked with other realtors in the past I have to say the he really goes above and beyond. Also Mark is the type of person that you feel comfortable with right away which is not only important for us as the seller but makes a great impression for potential buyers coming to see the property. We have three more properties in Chicago and as we are ready to sell these Mark will be the first and only one we call. Thank you so much Mark, you took a stressful time in life and made it fun!!!" "Mark Keppy was very professional, VERY responsive and attentive to all details. He was on top of the game at all times. He communicated every step in the process and kept me informed on a daily basis, which I REALLY appreciated. He was also great at explaining each process along the way in a manner that it made it very easy for me to understand since 1) I am not knowledgeable in the subject and 2) this was my very first purchase. There were a few road blocks along the way from the seller's side, but Mark was great at explaining, dealing and help resolve the problems. I am extremely happy with the purchase and the service provided. I am and will certainly highly recommend Mark Keppy and @properties to those needing these services." "I enjoyed working with Mark Keppy a lot. Not only did he help us get exactly what we wanted in a short period of time, but he was fun to have around during the process"
"There are many brokers. None like Mr. Mark Keppy. A professional who takes his profession very seriously, never forgetting his charismatic personality at home or loosing his main objective: his customers. From sun up to sun down his daily activities consisted of my home search needs and wants, forgetting his own in the process. Exceptional work ethic and commitment to his customers like none others: sending emails at 10pm ,meeting at 6 am at the office, scheduling house appointments around my work schedule and using his own funds assisting in experts input needed within the inspection period. Other brokers have been shocked to hear of Mr. Keppy's dedication and envy the services they fail to deliver. Amazing. All this and he never pressured us to make an offer or close. If he worked this hard on one deal, one can only imagine future results. Yes , I think it's time to hire him as your broker, before another company recruits him and you lose an exceptional broker and a friend." "Mark Keppy was an absolute pleasure to deal with from start to finish. His knowledge of the different areas and the reading of our very specific requirements meant we were able to very quickly focus in on a property that was exactly what we were looking for. His help through the purchase process and attention to detail resulted in the desired outcome in what could have been a difficult process. We are delighted with our new home and feel very lucky that Mark is both our realtor and now somebody we consider a good friend. Mark and Cameron." "We decided to relocate to Chicago, IL from a neighboring city and we began our search online. While their were tons of properties being listed for rent, we quickly learned that those websites are not updated in a timely manner which means that many of the properties we were interested in viewing were no longer available. In an effort to view another property we saw online, we called Mark Keppy at @properties and we found out the property had just leased that day. Instead of Mark ending the call, he took the time to see if we could use some help finding a property. From that day forward, he became our broker. He is an incredibly knowledgable broker and as such he easily helped us identify neighborhoods that met our needs and our lifestyle. He sent us a huge listing of available properties in a matter of minutes. He was so skilled and amazing, we found a property in under a week with his help and we had personally been searching for almost a month. He also helped up negotiate our rent and we ended up paying less than the original asking price which is always a plus! And just when we thought that Mark could not get any better...he did. He helped connect us to the other suite of services offered by @properties that help make your move much easier. For example, they work with a company that will help set up all of your utilities which is incredibly helpful when you are moving to a new city. All in all, Mark was wonderful to work with and he made something that could have been very stressful so easy. He is no doubt everything you want and need in a good broker - reliable, communicative, trustworthy, knowledgable, friendly and always willing to help. Working with Mark was by far the best decision that we every made and we a now happily moved into our new home loving it everyday!" "Mark was very knowledgeable about the Chicago area and the condo do's and don'ts. He is extremely reliable and very helpful in all that he does. We couldn't have completed this sale without him. He is a great asset to your company." "Mark Keppy is highly professional realtor who is knowledgeable, honest and fun to be with. He made what could otherwise be a stressful process of looking for a new home, very enjoyable. Mark promptly returned my calls, was always on time and provided me with useful information to assist me in my search. I would strongly recommend working with Mark if you are looking for professional realtor in the Chicago area." "I can't imagine a better agent than Mark Keppy. Freindly, professional, and determined to getting us the best possible conclusion to buying a new home, then selling our current home"
"Mark was very professional and personable. He explained everything about the process and made sure we knew each step before proceeding. He really took care of everything and communicated to us accordingly. He also has a great eye and helped us with deciding what paint color to use to attract buyers and how to stage etc." "I have made numerous Real Estate transactions in my lifetime, both in a personal capacity and as an investor. In addition I have worked over the years with various Real Estate Agents. Mark is by far the VERY best I have ever worked with. He is leaps and bounds above the others!!!" "Mark and his office were able to work quickly in identifying a suitable property and assisting us to structure an offer that met our requirements while being acceptable to the seller." "Working with Mark on the sale of our home was a wonderful experience. He did such a great job from start to finish. Having worked with other realtors in the past I have to say the he really goes above and beyond. Also Mark is the type of person that you feel comfortable with right away which is not only important for us as the seller but makes a great impression for potential buyers coming to see the property.We have three more properties in Chicago and as we are ready to sell these Mark will be the first and only one we call.Thank you so much Mark, you took a stressful time in life and made it fun!!!" "I enjoyed working with Mark Keppy a lot. Not only did he help us get exactly what we wanted in a short period of time, but he was fun to have around during the process."